One of the most visited cruise ship destinations in the Caribbean, the town of Charlotte Amalie is known around the world for its duty-free jewelry, perfume, and liquor shops. Charlotte Amalie is known for shopping, wildlife, historic sites, nightlife, and adventure. Your plan includes some of its best attractions: kick back and relax at Magens Bay, tour the pleasant surroundings at Lindqvist Beach, observe the fascinating underwater world at Coral World Ocean Park, and see some colorful creatures with a scuba or snorkeling tour. To find ratings, maps, other places to visit, and more tourist information, use the Charlotte Amalie driving holiday planner . Miami, USA to Charlotte Amalie is an approximately 5.5-hour flight. You can also do a combination of train and flight; or do a combination of flight and ferry. You'll lose 1 hour traveling from Miami to Charlotte Amalie due to the time zone difference. 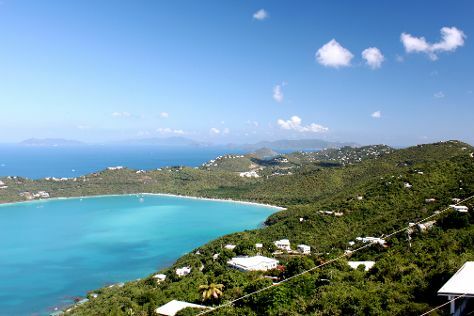 In April, daily temperatures in Charlotte Amalie can reach 85°F, while at night they dip to 76°F. Cap off your sightseeing on the 21st (Sun) early enough to travel back home.